One common racist characterization of East Asians is that they are hive creatures, working and thinking collectively like bees or ants, lacking individuality or creative thought. This trope has always annoyed me, but after I lived in Japan, and saw Japanese people behaving more individualistically than most of the Americans I knew, it really became my pet peeve. So you can understand why I am predisposed not to be particularly charitable toward papers with titles like "National IQ and National Productivity: The Hive Mind Across Asia". The paper, written by Garett Jones of George Mason University and published last year in Asian Development Review, does not argue that people in East Asian countries are unique in forming a "hive mind". It simply claims that they are better at it. The paper's thesis is that IQ is a fundamental ingredient for many of the things that make a country rich. High-IQ people, Jones argues, 1) are more patient and hence tend to save more, 2) cooperate more, and 3) support more free-market policies. 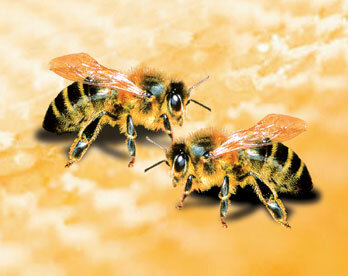 Cooperation is what Jones labels the "hive mind". It's interesting that he chooses to make the "hive mind" phrase part of the paper's title, since the result about cooperation is only one among several main points in the paper. Why? I'm guessing that the existence of the racist "Asian hive mind" trope is not irrelevant to Jones' choice of title. Economists often style themselves as bold, iconoclastic free-thinkers, willing to think and speak the truth when others are constrained by political correctness. To fulfill this self-image, they often go out of their way to say politically incorrect things. This in turn leads other people (i.e. liberals) to respond emotionally, which reinforces economists' self-image of themselves as rational thinkers, and also reinforces their public reputation as racists, sexists, etc. It's a stable equilibrium. But really it just represents an elaborate form of mugging for attention. 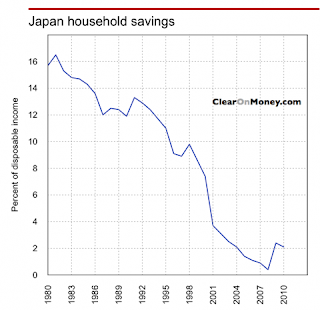 This means Japanese households now save less than American households. How can we square this fact with Jones' IQ-patience-savings based theory of national wealth? I'm not sure we can. Even if IQ does have an effect on savings, we can't expect it to dominate over long periods of time. Next, Jones makes the argument that high-IQ people cooperate more, and that cooperation raises national wealth. To support this, he cites a large number of game-theory experiments. But it is far from clear to me that this kind of small-group cooperation can easily scale up to the level of a nation, or even a corporation. Again take the example of Japan. Though most Westerners think of pre-modern Japan in terms of its unified and isolationist Edo Period, that was actually just a brief aberration after a long history of bloody internecine warfare, samurai intrigue and assassination, and factionalist strife. In World War 2, Japan's inter-service rivalry put America's to shame, and military staff meetings would often end in brawls between Army and Navy officers. In modern Japanese corporate culture, the public face of harmony is loosely plastered over a seething morass of factionalism that makes it notoriously difficult for Japanese companies to match the nimble strategic shifts of American firms. And don't even get me started on Japanese politics. So while I don't deny that Japan is reknowned for small-group cooperation, even if we grant Jones' hypothesis that this cooperation is driven by high IQs, it does not seem always to scale up to larger groups. Oh, and let's talk about Jones' data set. His data on national IQ comes entirely from the work of Richard Lynn. In his 2002 book, IQ and the Wealth of Nations, Lynn shows North Korea as having a higher national average IQ than Sweden. First of all, right off the bat, that tells me that Lynn's methodology must be crap on a stick. Second of all, it strongly suggests what that methodology in fact was - it's pretty clear Lynn just assumed that since North Koreans are the same race as South Koreans, they must have a similar national average IQ. In other words, Lynn's "data" basically just uses "IQ" as a polite term for "race". (By the way, many others have looked at Lynn's dataset much more closely than have I, and have reached conclusions similar to mine; see, for example, here and here. Hat tip to Cosma Shalizi for pointing these out in an email). Jones writes: "Thus, more intelligent voters are more likely to see the invisible hand, supporting policies that create prosperity." Wow, I wish I had that super power. Are there no editors at Asian Development Review? Why are you expecting quality to come out of that journal exactly? Seems like a waste of your time, no? Surely Jones is not arguing that IQ is the only thing that affects savings rates. Presumably it is one of a number of factors, and being such it still leads to a correlation between IQ and capital/labor ratios. 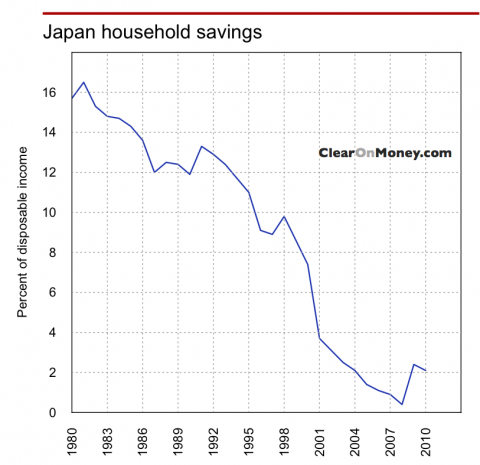 The explanation for the time series behavior of Japanese and US savings rates is that they were determined by those other factors (demographics, slowing growth, rising medical costs, easier credit availability, etc., etc.). I don't see how this would be difficult to square with the theory that differences in patience make IQ an important determinant of national wealth. Nobody would suggest that it is the only determinant. What's statistical significance got to do with it? My point is that multiple variables can have independent explanatory power. In fact that's the typical situation. You can almost always find examples where a generally important explanatory variable fails to explain a particular piece of variation in the variable being explained. That's why we have multivariate regression. My point is that the time series evidence for the US and Japan does not contradict the view that IQ is important in determining savings rates (and therefore capital-labor ratios). It merely shows that there must be other factors that are also important (which, to me at least, seems to have been obvious from the beginning and therefore not something that is very interesting to demonstrate). What does "important" mean in this context? If one were to demonstrate a higher IQ than the current worker-bees at George Mason, I wonder what that would do to ones future job prospects there. In all seriousness, outing the charlatans is a valuable and under-provided service. And hilarious. Nice work. I agree, but the problem in this case is that Noah is giving this paper press that it otherwise would never have (seriously, have you ever heard of this journal?) and claiming that it is somewhat representative of work by economists. Yep. I don't mind, I think it's better for this sort of thing to be aired in the open than to languish in obscurity. and claiming that it is somewhat representative of work by economists. Work? No. Preconceptions and assumptions? Maybe. I've been around a lot of economists, and I've heard these ideas bandied around a lot. I also suspect that they underlie a lot of theorizing that does not explicitly mention IQ, such as the theory of "skill-biased technical change". As Eric Weede pointed out in 2002, Lynn's national IQ data does robustly predict growth (see also, Rati Ram & Heiner Rindermann's work). Jones is ahead of the curve with this. Oh boy, I have so many disagreements...let's start. "To support this, he cites a large number of game-theory experiments. But it is far from clear to me that this kind of small-group cooperation can easily scale up to the level of a nation, or even a corporation." What a point for an experimental economist to be making! This is a common critique by those who think economic experiments are a waste of time, and a main line of defense of the type of economics you have been so critical of. So it seems to me that, as bad as they may be, these scores do indeed measure some cognitive ability (though I doubt it is inherent, I suspect it is to a large extent cultural). But as an experimenter, you should always be thinking about external validity. Different experiments have different ranges of applicability. Doing experiments doesn't mean one has to insist that every experiment is applicable always and everywhere. That kind of overselling just weakens and discredits the field in the long run. Regarding the validity of the IQ measurements, though it is true that there are problems (the 2006 data have been improved) Lynn and Meisenberg show a high correlation between national IQ scores and student performance in PISA tests. OK, sure...but did they give the PISA to North Korea? Look, as long as that North Korea data point is in the data set, I just can't bring myself to trust the rest. Of course! Basically - and here I'm using colloquial shorthand - there are three things you can look at in a regression, the p-value, the point estimate of beta, and the R-squared. Something that has a low p-value, and is thus statistically significant, may be economically insignificant if the effect size is small. And even something with a large and significant effect may not matter much in the world, if the explanatory variable just doesn't vary that much. My point is that even if Jones is right about IQ and saving, this doesn't necessarily allow us to make useful predictions about how much nations will save, or which nations will save more. Which is really what we care about. "Doing experiments doesn't mean one has to insist that every experiment is applicable always and everywhere." Agreed! However, it does give you a starting point from which to think about issues. After all, in his other studies, the ones not published in "Asian Development Review", Jones does test his theories formally. Regarding North Korea, I think it was excluded from the dataset. If not for any other reason, I don't think that data on saving rates for N. Korea are available. Even if it weren't excluded I disagree with your statement, but I am pretty sure that it was. As far as predictability, the R-squared in Jones's other paper suggests that IQ alone explains about 10% of the observed variation in the saving rate accross countries. Is one-tenth a lot or a little? Depends on what one is interesteded in. To me it is high enough not to ignore, and certainly does not warant the characterization of Jones as charlatan by some commenters, or a quick dismissal of his hypotheses. "I make no claim that all differences in national average IQ are permanently intractable, nor that they explain 100% of the difference in savings rates across countries. Instead, I claim that differences in measured cognitive skills—whether proxied by IQ tests, or by math and science tests—are an overlooked driver of cross country differences in savings and hence in national wealth." Regarding North Korea, I think it was excluded from the dataset. Excluded from the dataset used by Jones, but not from the dataset initially reported by Lynn. My point is not that the North Korea data point is by itself enough to skew the results. My point is that the value assigned to the North Korea data point in the initial Lynn (2002) dataset is a strong signal of systematically poor methodology on the part of Lynn. As far as predictability, the R-squared in Jones's other paper suggests that IQ alone explains about 10% of the observed variation in the saving rate accross countries. Ahh, but how much of long-run outcomes does it explain? That's Jones' point in this paper, not savings rates. "I claim that differences in measured cognitive skills—whether proxied by IQ tests, or by math and science tests—are an overlooked driver of cross country differences in savings and hence in national wealth." Let's think about this claim. Savings rates are observable. Why do we need IQ as an additional explanatory variable? What increased predictive power does it give us? Just to elaborate on the difference between explaining savings rates and explaining long-run outcomes, let me give a hypothetical example. Suppose that high IQs cause low fertility. Suppose that low fertility eventually leads to lower savings rates. In that case, ceteris parebus, IQ raises savings rates at any point in time, or even averaged over a long time if one's dataset comes primarily from the period of positive population growth. But over time, high IQ will lead deterministically to lower average savings rates, through the fertility channel. So one has to be very careful about how one measures these things. Re. Lynn's data, look, I already conceded that he took liberties I would not have taken. In the 2006 datasets I think he removed data for countries for which no observations were available rather than use scores from adjacent countries. But there is a wide range between perfect data and "crap on a stick". Very little data used by economists is perfect. The question is how well it correlates with what we really want to measure. And with a correlation between national IQ scores and PISA test scores of over 0.91 it is clear to me that IQ scores say something. "Why do we need IQ as an additional explanatory variable? What increased predictive power does it give us?" Oh, come on Noah. As your responded to me once in the past, "now you trollin', California". There are proximate causes and ultimate causes. Saving rate differences are a proximate cause for cross-country income differences. You don't see why social scientists should try to peel the onion further? Jones's work fits in the discussion of what determines pro-social norms that was, in fact, initiated by leftist economists like Gintis and Bowles. Are you as dismissive of their work, and the work of institutional economists? And with a correlation between national IQ scores and PISA test scores of over 0.91 it is clear to me that IQ scores say something. PISA is only for the OECD, is it not? And then why not just use PISA, if there seem to be hidden methodological errors lurking in Lynn? There are proximate causes and ultimate causes. Saving rate differences are a proximate cause for cross-country income differences. You don't see why social scientists should try to peel the onion further? "PISA is only for the OECD, is it not?" As far as I know it has been extended so that it now includes over 70 countries. "But only because doing so generally helps us predict the future better." No! Because by understanding the past and present better we can, perhaps, create a better future! "And then why not just use PISA"
Why not use both, for robustness? If you think about it carefully, you'll realize that predicting the future is necessary for creating a better future. The reason why is not immediately obvious, but it is very deep and powerful. Why not use a bunch of other correlated measures, for robustness? "If you think about it carefully, you'll realize that predicting the future is necessary for creating a better future." There are two components in Jones's work. The first involves the impact of cognitive ability, whether measured by IQ scores, PISA scores, SAT scores, or any other similar test, on saving and individual productivity. Jones tests his hypotheses and finds that, for both, cognitive ability does matter. However, he readily acknowledges that differences in cognitive skills through these channels alone cannot explain the majority of economic outcomes. In fact, this is what has led him to a second thesis. His second thesis is that cognitive skills also affect economic outcomes in an indirect way, by leading to pro-social behavior and better-quality institutions that further enhance productivity. Admittedly, Jones has not provided enough empirical support for this second hypothesis. Therefore, while his assertion sounds plausible, in the absence of further evidence we should remain skeptical and aware of the possibility that he is overemphasizing the importance of cognitive skill differences. But this is an issue that can and will be resolved empirically by Jones or people interested in his work. Either way, Jones will get cited (when you are wrong it pays to be wrong on important issues). If only I were so savvy! In my opinion, this is a more fair assessment of Jones's work. Jones tests his hypotheses and finds that, for both, cognitive ability does matter. What, in his cross-country regression of capital-to-output ratios regressed on Lynn's IQ measures? That constitutes an empirically credible test in your eyes? Seven Cultural Stereotypes. He referenced all 17 studies on Japanese individualism that have been done over the past 30 years, and all of them showed the Japanese were either as individualistic as Americans, or in some cases more individualistic. Some studies also included other nationalities than Japanese and Americans and these did show South Koreans to be somewhat less individualistic (but definitely not hiveminds). Perhaps someone has already pointed this out, but doesn't the causality run from wealth to IQ and not the other way around (at least on a national level), because good nutrition, education and whatnot are prerequisites for high IQ? I know studies of Americans always show that IQ is ~50% heritable, but once you study just Americans you're largely controlling for wealth, nutrition, health care, etc. -- even a poor American is really rich in most 3rd world countries. By certain measures, Sweden does come off as more free-market than the U.S. They do have higher taxes though. Lynn's data is problematic. His instinct is just to publish a number for a country if he can grab any data to cite, regardless of sample size or representativeness. And if he can't get any data for a country, he uses neighbors as substitutes. If I were to guess the average IQ of a country and only had data for neighbors, I might do the same thing, but it's a very thin reed to put any weight on. If I were going to use his data set for a study, I would throw out all countries which don't have tests with some minimum sample size. Lynn's data is problematic. His instinct is just to publish a number for a country if he can grab any data to cite, regardless of sample size or representativeness. And if he can't get any data for a country, he uses neighbors as substitutes. As a practising social democrat, I'd point out that you can make a case that greater equality is a prerequisite for a free market economy. According to technical indices yeah but the viewpoints of people who describe themselves as "pro-free market" do not map well onto the set of policies Sweden used to achieve those outcomes (ie: large universal benefits and heavy unionization) while people who do support Sweden style setups rarely regard describe themselves as "pro free market"
Well, using Lynn as a source is basically just self-identifying as a scientific racist in the Edwardian sense. Anyway, Keith Stanovic and Richard West argue that there is an independent vector that measures things like openness to new ideas, scepticism, cooperation, and metacognitive awareness. They call this "rationality" and argue that it is both decorrelated with "intelligence" defined as "that which is measured by IQ tests" and possibly more important. The possibilities of a group of people with high IQ-intelligence and low rationality are left as an exercise for the reader, but it may help to visualise Larry Summers. You're infinitely more patient than I could have been. "The paper, written by Garett Jones of George Mason University..." is where I would have set down my laptop, walked outside, and cursed the universe for ever coming up with homo sapiens. The con artists must _love_ you. You too if it is the person alerting you to con artists you are refusing to listen to. "High-IQ people, Jones argues, 1) are more patient and hence tend to save more, 2) cooperate more, and 3) support more free-market policies." FWIW, with an IQ in the 135 range, I 1) have a current net worth of about $0, 2) like to work alone and 3) would define my general political views a social-democratic. And I know smokers who lived to be 90. Does this prove that smoking is not detrimental to your health? In any human society, cooperation on a large scale occurs through its institutions. Institutions are influenced by culture and evolve within a culture and inherited inter-generationally. Humans are social animals, human societies are composed of groups. Human individuals succeed or fail as their groups succeed or fail. Individuals may move from an unsuccessful group to a successful group, but Individual success or failure is not independent of a group. The focus of economists and economics on the individual is misplaced. In terms of Lynn's data - Heiner Rindermann, in a 2007 paper titled The g‐factor of international cognitive ability comparisons: the homogeneity of results in PISA, TIMSS, PIRLS and IQ‐tests across nations, showed that country IQ estimates of Lynn and Vanhanen were consistent with the educational performance data, and that a country level "G" factor explains most of the variation. This post boils down to, "This is racist, so it's wrong!" along with a bunch of logical fallacies and mischaracterizations. Your PhD should be revoked.